Are residential treatment centres up to scratch? 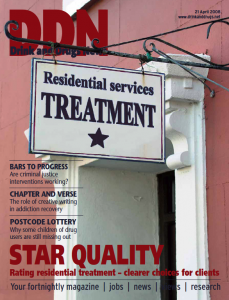 In explaining the new star rating system, David Finney mentions that the drug and alcohol sector performs better than most (page 6). Clearer signposts to good (and not so good) treatment should give clients and commissioners better choice, and prompt the poorer performers to shape up for survival. The lottery of service standards becomes even more urgent when applied to support for children of drug-using parents. This frequently hidden clientele can not step forward to choose for themselves, as our researchers highlight on page 14. It’s an unequivocal argument for replacing the postcode lottery with centralised control. 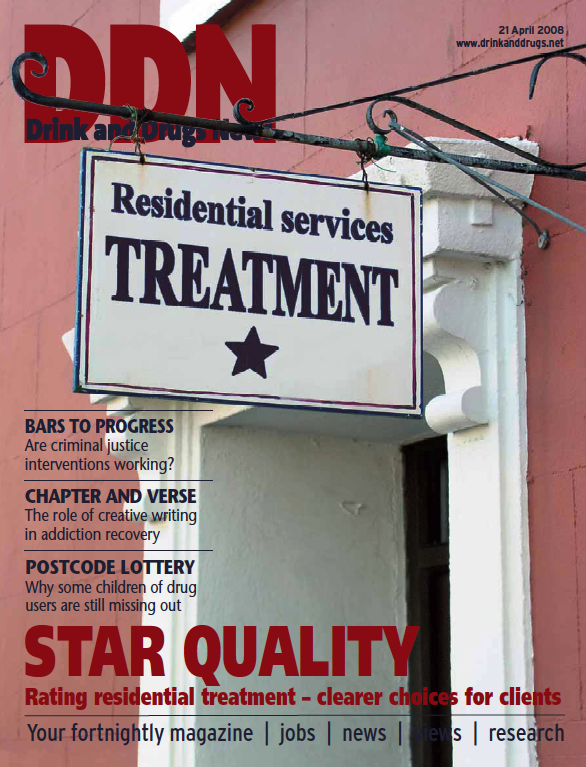 With criminal justice led programmes forming a main joist of drug strategy, Roger Howard (page 10) highlights how much we are taking for granted about the effectiveness of these interventions. The report highlights that standards of prison drug treatment are unacceptable – so why aren’t we tackling reform head-on?, asks Kathy Gyngell (page 11). On a different note, I was very interested to learn about Lapidus, a membership organisation for people who believe in the power of writing as a tool for healing and personal development. Fiona Friend looks at what this can mean for the addiction field, on page 12. Diary writing can be extremely cathartic; DDN contributors who have shared their personal stories often say that it helps them to take stock of how far they’ve come. A member of Fiona’s creative writing group adds: ‘I explore my feelings in a way no other format can do’. There’s another side to it that emerges from those who have experienced addiction: People who have experienced extreme highs and lows in their life are are often passionate about helping others get beyond that situation – which could explain why user forums can work so well as a support network. Empathy in written format can be a very powerful tool indeed.